Home Project Advice Renovations Bathroom Green Plumbing – Just How Affordable & Environmentally Friendly Is It? 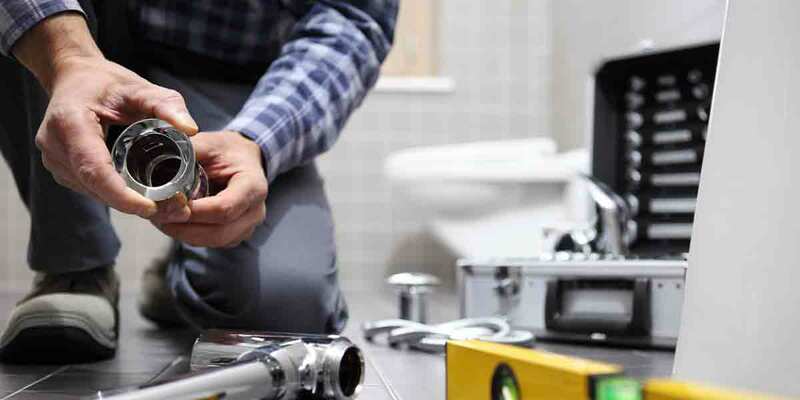 Green Plumbing – Just How Affordable & Environmentally Friendly Is It? Having an eco-friendly or ‘green’ home is becoming more and more popular in New Zealand. Sometimes it’s hard to know what aspects of home improvements will reap the biggest rewards both environmentally and financially when going green. Not many areas of your home will have more potential than your plumbing when it comes to going green. When you green your plumbing you’ll save on energy costs, improve your health and benefit the environment. When green remodelling comes up, the cost is at the forefront of many homeowners and landlords mind. The good news is that with home plumbing, you’re unlikely to spend much more going choosing green options. If you do run into higher initial costs, this is quickly offset by reduced energy and water consumption costs. Putting a dent in your monthly bills is important, but the true value of going green is much more than a purely financial calculation. 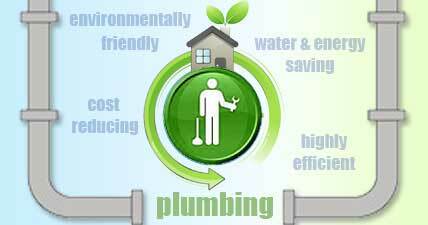 Green plumbing will provide you with a healthier home while conserving cleaner water. Looking at it from that angle, you could safely say that going green is more about passing a better world onto future generations rather than saving a dollar or two. Insulate Pipes—Uninsulated pipes create a large amount of heat loss when water flows from the hot water cylinder to the tap. Remove Plumbing from Exterior Walls—Run your homes pipes through interior spaces rather than along outside walls and you’ll reduce unnecessary heat loss. Install a New Hot Water Heater—Hot water heating accounts for up to 15% of your home’s energy use. Replace an older unit with a modern, high-efficiency one for a big impact on your home heating costs. Check Your Water Supply—Have your water tested to see if there are problems you need to address. Different water filtration systems will target different water issues. That’s why it’s important that you know what’s going on with your water supply. Use Chlorine Filters on Showerheads – Did you know that chlorine is absorbed up to 6x faster through the skin than the digestive system? A chlorine filter will considerably reduce the amount of chlorine you absorb through your skin when taking a shower. Consider a Whole House Water Filtration System—These can eliminate particulates, chemicals and other organisms from your water. This will increase the lifespan of some of your plumbing fixtures. You’ll also have a healthier water supply for your family. Get Low-Flow Showers and Faucets—these will reduce water usage by up to 60%. This is one green upgrade that’s good for both the environment and your back pocket. Install Low-Flush Toilets—A low-flush toilet generally uses anywhere from two to five times less water per flush. Use Faucet Flow Reducers—these fit the end of your taps and reduce tap flow up to 40%. Buy Energy-Efficient Appliances—Energy efficient dishwashers and washing machines reduce water consumption up to 50%. If you think green plumbing is the right choice for your upcoming plumbing project, talk with a plumber who knows about the benefits of green plumbing. I agree with Andreas. And like you said in the post, it helps not only the home owner but the planet as well, so everyone wins. Great post! Can somebody please bring this blog under the general public! to make the house a better home or keeping the appliances, health and household items longer alive. In fact: it is actually cheaper on the whole in the long run. Saving on the points mentioned above is never a good idea because something’s gotta go: be it the household items starting to rot, the health decline, the cost of water, gas or electricity rise disproportionately or being otherwise costly. As a certifying Plumber and Gas fitter I would always explain the pay-off of ECO to my customers and I would rather walk away from a potential job if the standard is not matching my ethics. But usually the customer is happy to improve their home rather than just fix an old rusty pipe that is long overdue to be replaced. Common sense is the way. Thank you for your well thought out reply to our post 🙂 I hope our readers will gain some valuable insight from your comments.